What features must be there in eCommerce website? 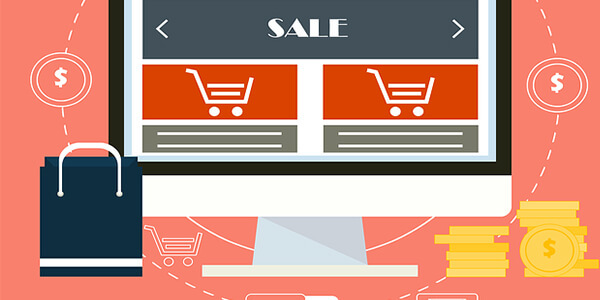 When it comes to an eCommerce website, you think of lots of cool functionality and features. But what does an eCommerce website constitutes that is essential for the online business. Not may know, so let us explore. We’ve have witnessed eCommerce website trends just like animation, 360-degree product previews, advanced filtering, and dynamic product search. But irrespective of how you design your website, there are two important things an eCommerce website must have. First is how the site is marketed and the second is how it is designed. eCommerce websites offer three types of solutions for mobile compatibility. First, you must ensure that the mobile view compatibility and responsiveness of the website. As many website users browse internet hence it becomes necessary to make the website mobile responsive. The WAP is a mobile-specific template which optimizes the website template in size and results in less loading time. The most important part of any eCommerce website is the shopping cart. This is a place where your end customer store continues their purchase journey with the checkout process. A shopping cart having the feature of both the guest user and the registered user does well in respect with eCommerce website performance. A cool payment gateway integration feature enables the user who wants to go with payment options other than online. With this option, a customer gets easy to user, secure and user-friendly option to purchase from your eCommerce store. While choosing a payment gateway, one must make sure to choose the right payment gateway such that your customer finds it easy for the product they purchase from you. A simple and wholesome order management panel simplifies the task of the merchant to get the detailed information. The merchant gets the functionality such as buyer cancellation/refunds/cod order verification/exchange/order status update and more. This is the most important feature of an eCommerce store. The sensitive information of credit card and debit card is saved and for all prepaid shipments, the checkout is carried out through a secure payment gateway.